Ahhh yes, it’s that time of the year again…Growers Direct had a huge mountain of Rhubarb last week so I “stalked up” get it? 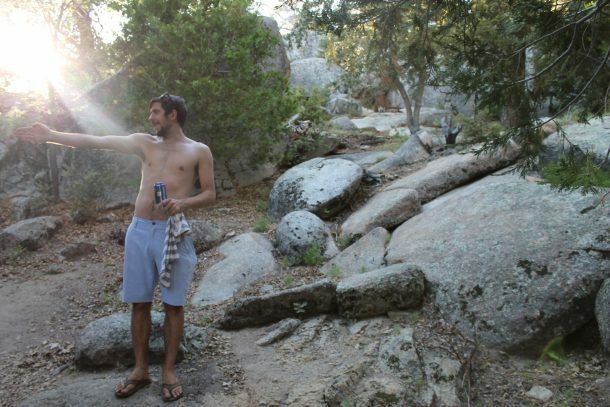 😉 We spent the weekend at the cabin for a triple Birthday party (Dan, Bryce and my Broski), playing can-jam Frisbee, swinging in the hammock, creating cocktails and hiking to the secret rock. It was really nice. -Mix flour, sugar, and salt in a mixing bowl. -Add the cold butter to the flour mixture, shave off thin flakes of cold butter with a knife. Use a pastry cutter to work the butter into the dough until it resembles fine crumbs. -Add water 1 tbsp at a time. Give the dough a few kneads with your hands so that it forms a rough ball. -Wrap dough in plastic wrap and chill for one hour in the refrigerator. -Divide the dough in half and roll out a round sheet for the bottom of the pie. Bake at 350F for 15 minutes. -Save the rest of the dough for decorating the top of the pie. -Throw all ingredients into a medium sized pot (except for the apples) and simmer until the rhubarb begins to breakdown and the sauce thickens. Add more tapioca if needed to thicken filling. -Once the bottom crust has been baked, pour the the filling into the crust until level with the pie dish. -Arrange apple slices on top of strawberry rhubarb filling. -Place crust on top of apples. Decorate as desired. -Bake in the oven at 350F for 20 minutes of until the top crust is golden. ^^^Trail blazer Ev, leading the way…with beer in hand of course. 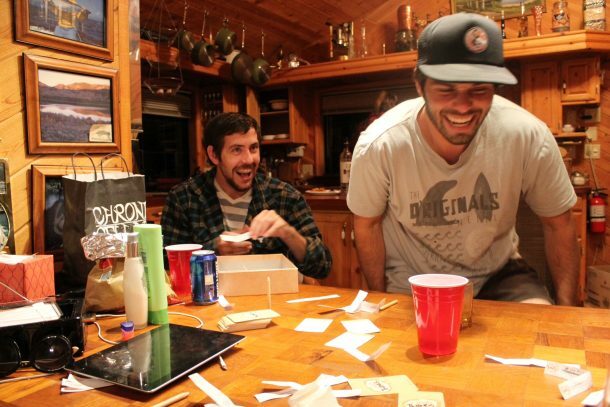 ^^^Playing games and poker around the table. ^^^A little clip from our weekend away. 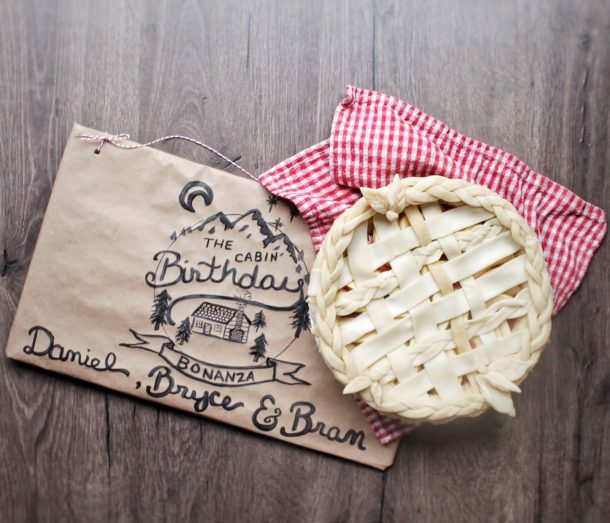 This entry was posted in Family + Friends, Food, Sweets, Travel, Uncategorized and tagged Baking, Birthdays, Fruit, Pie, Strawberries, Summer, Sweet. 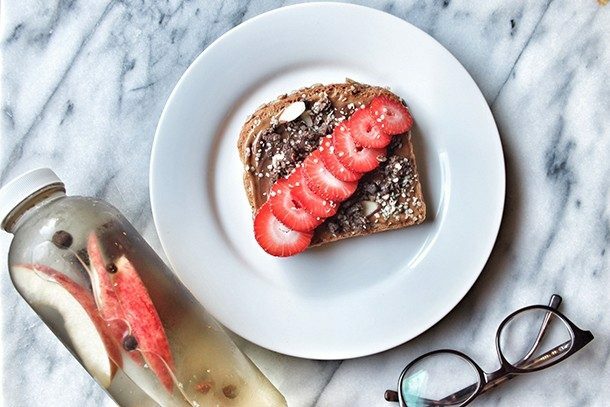 Keeping it simple this morning multigrain omega-3 toast with chocolate hazelnut and pb spread, topped with strawberries, cocoa almond granola and hemp seeds + cinnamon spice apple water to go! I love flavoring my water…it’s always been a challenge for me to drink those 8 glasses a day. I found that flavoring water with fruit and spices keeps me interested. I thought it would be fun to embrace the fall season with some traditional flavors… cinnamon sticks a few cloves and allspice or star anise, apple slices or orange peels etc. Sip and refill! The flavor should last for 2 days if you keep it refrigerated! 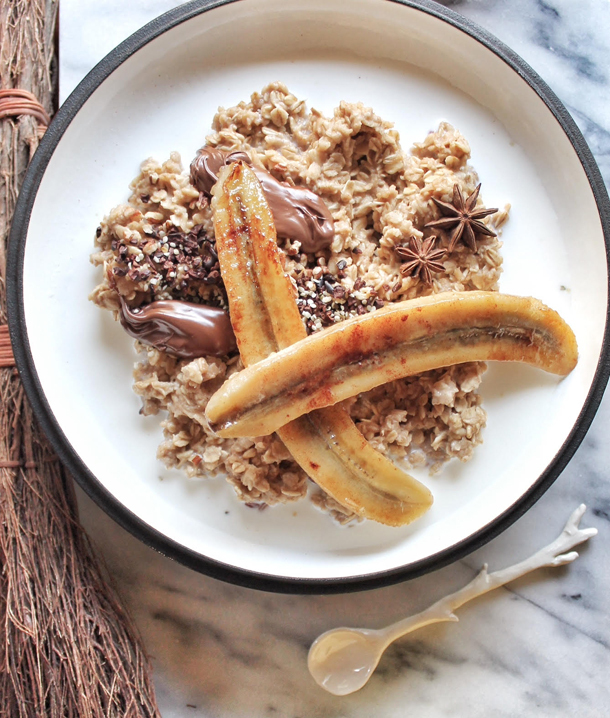 This entry was posted in Breakfast + Brunch, Food, Sweets, Uncategorized and tagged Chocolate, Fall, Hazelnut Butter, Peanut Butter, Strawberries, Toast. 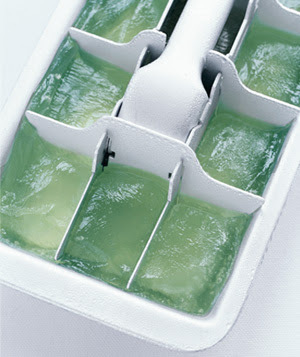 Freeze cubes of aloe vera for instant sunburn relief when you forget the SPF. Squeeze aloe gel into the tray and freeze over night. 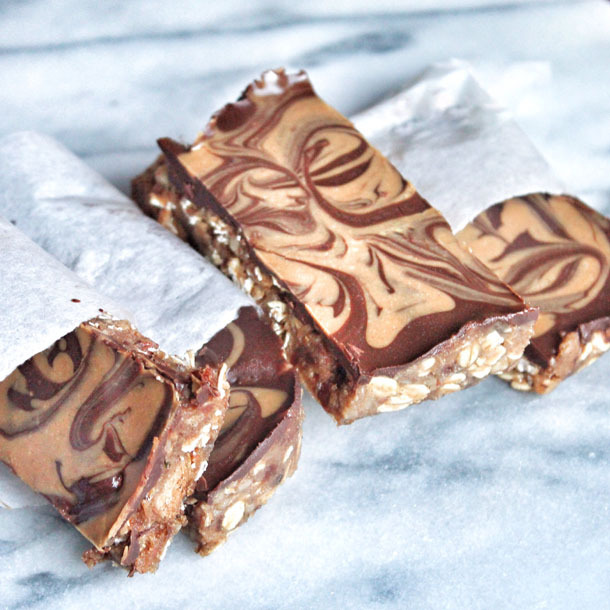 Keep them in the freezer for emergencies. If you accidentally broke your blender pitcher, use a mason jar. 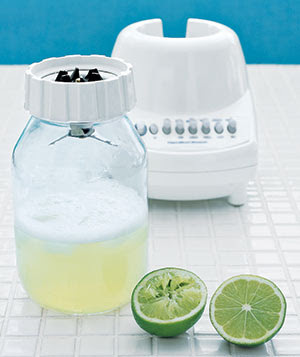 Most large mason jars will screw into a standard size blender base. Make sure that the blade doesn’t touch the glass! If you have ample clearance, blend away! 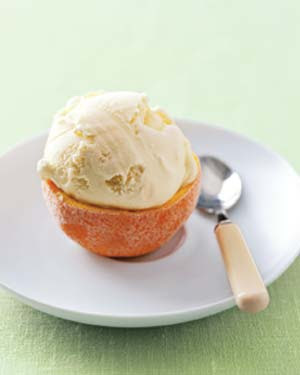 Serve sorbet in a memorable way. After juicing (or eating) grapefruit, orange, lemon, or lime halves, scoop out and freeze the peels. Cut a small slice off the bottom to create a level surface (without creating a hole), then fill with ice cream. #4. Egg slicers can slice more than just eggs! 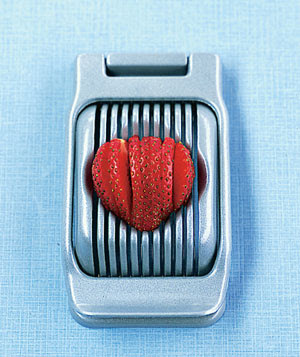 Use your egg slicer to cut your strawberries 10x faster! Now why didn’t I think of this earlier! 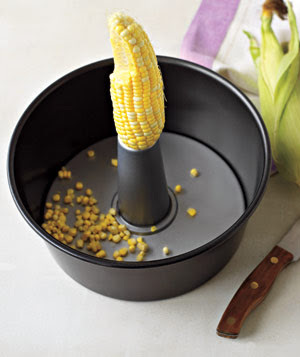 Cut corn from the cob without the mess. 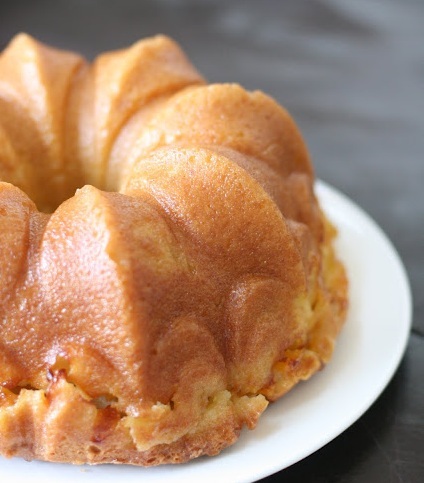 Place an ear in the center of a Bundt pan. As you slide the knife down, the corn will fall right into the pan. Bare feet left with a bit of tar after a long day on the beach? Lift it off with a dose of baby oil. P.S. 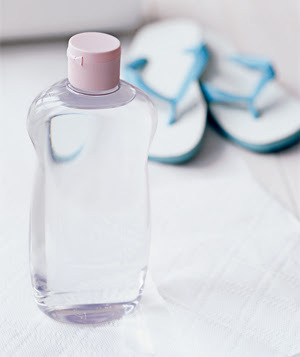 it’s also good for eye make-up remover. I use it all the time. Cart condiments to a backyard barbecue. 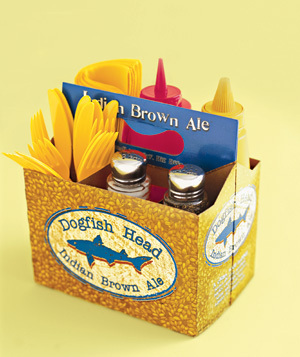 Slot flatware, ketchup and mustard in the compartments for easy transport. I’ve seen these at the Catalina Fish Kitchen. Cute and thrifty. 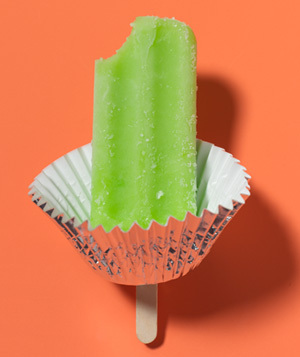 Before serving that Popsicle, slip the stick through a foil liner to catch drips and keep hands from getting sticky. 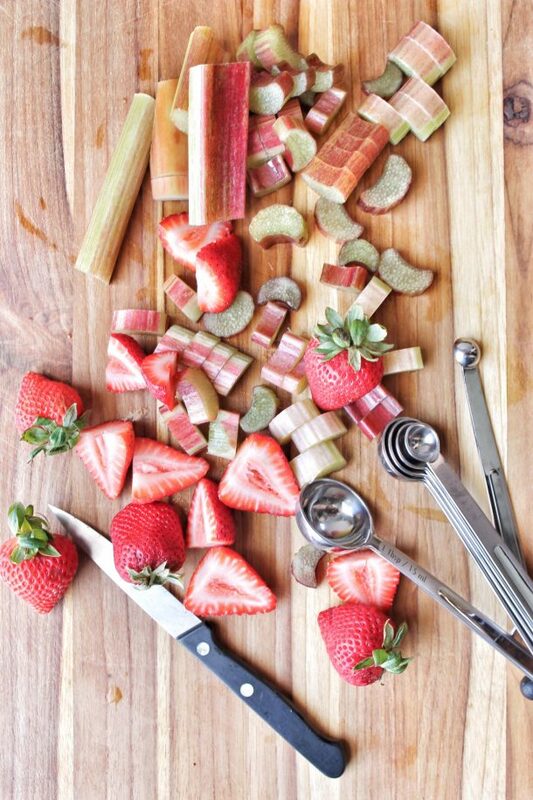 This entry was posted in DIY, Life, Likes, Uncategorized and tagged advice, Ideas, Strawberries, Summer.